The village Asklipios or Asklipiio is nestled in the mountains, built around the castle of Asklipio, a monument that proves the passage of the Knights. There are small white houses, examples of traditional architecture. Right in the center of the village, there is a splendid church dedicated to the Virgin Mary, built in 1060 a.c., next to the old Olive press, which is now a Folklore Museum. The name Asklipio comes from the scholar of medicine Asklipios, as archaelogical discoveries testify. It is believed that there was a temple dedicated to Asklipios. 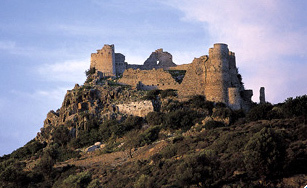 The castle of Asklipio, a Knightly fortress of the 13th century is worth seeing. Natural environment - The natural area that surrounds Asklipio is of particular beauty and variety with a rich forest of pines and olive groves. In the rivers of the region the endemic species of a small fish called “Ladigesocypris ghigi” (Gizani) is found. This species is protected by the European Community Legislation. A visitor can enjoy the routes from the village to the Abbey of Tharri, the region “Stafilia” and the region “Arosali”. There are magical routes to the “Trikolou” and “Kliminta” areas, the abbey of “Tharri” and the village of Vati. Been to ASKLIPIOS ? Share your experiences!